Ireland Inc supports Irish brands and Irish identity, culture and innovation: Fry up anyone? Set the scene if you please. Out of the bed you get with a hunger that could take down a small bear. 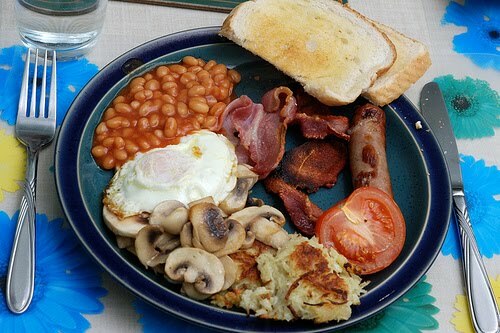 A few sausies maybe, a bacon sarnie, how about a full fry up? Sure 'tis the Irish way after all. Although we have yet to succomb to these 'culinary delights'(sarcasm intended), we are not far off the culture that is convenience 'grab & go'. How can (dare I say it? )the institution that is the Irish breakfast,something so distinctly Irish, get the American treatment?Surely not, surely somethings are sacred? Brands continue to try and satisfy consumers need for convenience, but is this pushing things too far? Only recently Tesco dared venture into this territory with it's student inspired snack, the Tesco Italian Lasagne Sandwich. Enough said!